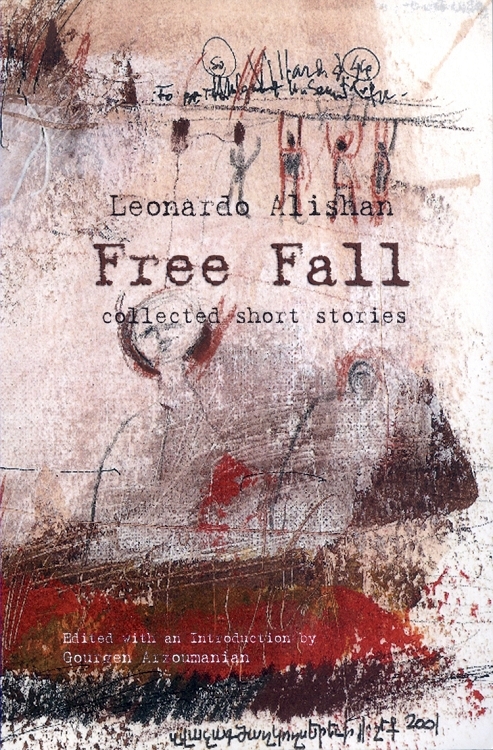 Free Fall is a collection of fifty-nine short stories that will dazzle readers with its harmonious blend of truth and fiction. In the first story of the collection, a mythical bird—a simorgh—gives magical seeds to the narrator that bring forth the stories he writes, while the last story finds the narrator receiving rejection letters from publishers because no one is interested in his unconventional mix of Armenian, Iranian and American poems. The stories are the fruit of exile and identity crises. In “The Curse,” for example, the author portrays the image of an Iranian poet in exile who loses his language and becomes isolated. On one occasion, when the poet tries to communicate with his wife, she responds, “What are these jeek jeek [chirping] noises you’re making? Why don’t you talk?” But the poet does find an audience that understands him—a community of sparrows. A new language and culture flourish in the Armenian diaspora where duality and, in some cases, triplication is part of daily life. As an Iranian-Armenian and an American-Armenian, Leonardo Alishan experiences both diasporas. The book is a reflection on this kind of existence to which many readers can relate themselves.